Every business needs an effective and reliable communication system to ensure a smooth operation. Without a proper phone system at your workplace, your business could encounter a number of challenges and setbacks. Whether it’s to communicate with customers or complete transactions, you can optimize your office’s communication system with a Samsung phone system. Smile Business Products, Inc. helps you find the best communication system to suit your operational needs and ensure effective communication throughout your organization. 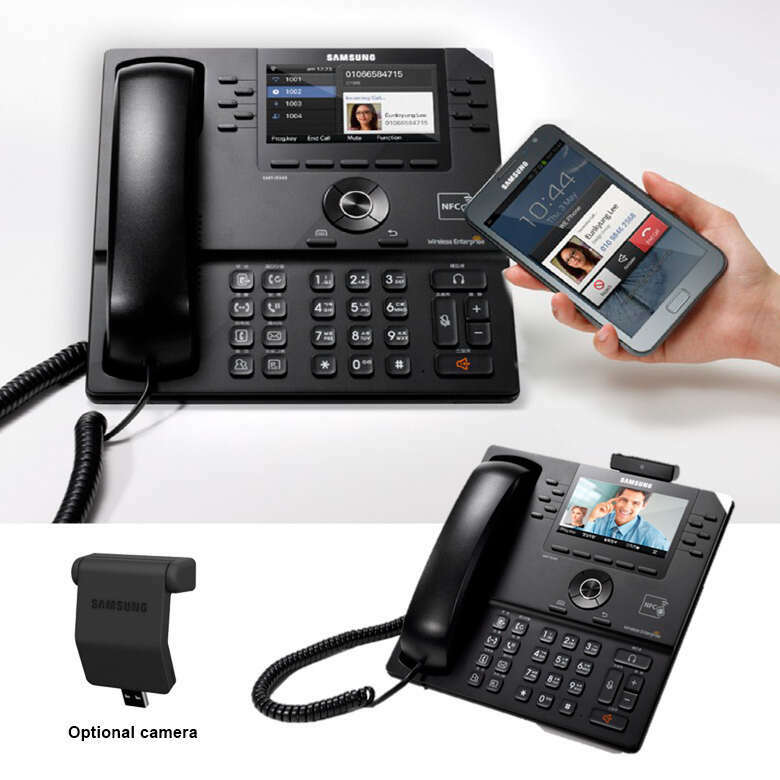 Why choose Samsung office phone systems? In today’s business world, the workday and work-space has been redefined. Employees needs access to their office workstations whenever and wherever business calls, and their workstation could be their car or remote office. Mobility has never been more vital than now. Samsung OfficeServ phone system provides stability within your organization to stay connected. The OfficeServ phone system platform comes standard with OfficeServ Connect which allows incoming calls to an office phone to be set to ring simultaneously at up to five additional locations such as a cell phone, home office, branch office, vacation home or even a hotel room! Samsung latest solution, WE VOIP, is a feature of the phone system that combines mobile phone functionality with VOIP (voice over IP) dialing using a smartphone. WE VOIP operates just like a standard mobile phone with a log management that conveniently let users distinguish between mobile and VOIP phone calls. Samsung’s award-winning products include innovations that minimize the impact on our natural resources and help consumers reduce their carbon footprint. We also provide convenient ways for consumers to recycle their old electronics. From mobile phones to monitors, we make it easy to be green with fixed recycling drop-off locations across the nation. Samsung vows to protect the environment by continuing to manufacture eco-conscious products and helping you to recycle them responsibly. To learn more about our Samsung phone systems, please complete a request form. © 2018 Smile Business Products, Inc.